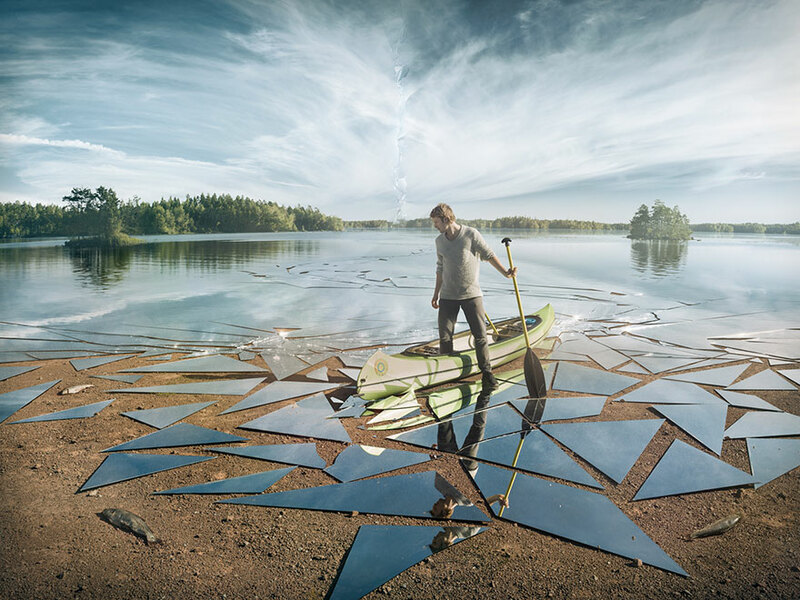 Regular visitors to Bored Panda will no doubt be familiar with Erik Johansson’s surrealist images. For those of you who haven’t yet been acquainted with this master of manipulation however, take a look below to see what makes this photographer and digital artist so special. 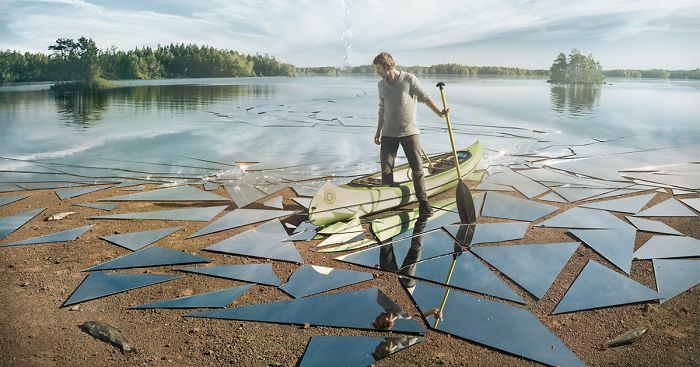 This latest mind-bending shot is called Impact. It took months to create and used over 17 square meters of real mirror. 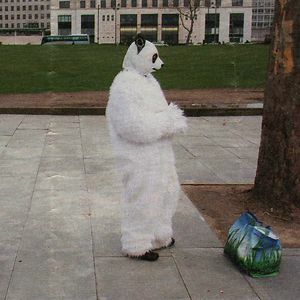 The picture made use of both practical effects and photo-editing in order to produce the twisted effect that you can see in this final warped image merging the real with the surreal. For this latest project, Erik decided to film a behind-the-scenes video to provide an insight into his artistic experiences. “I thought it could be fun to share the process and to show how much work there is behind creating just one piece,” he says. See for yourself in the video below. You can also see more of Erik’s work here, here and here. The line in the sky is kinda throwing me off. It wouldn't be a hard thing to fix in photoshop so I'm wondering if it's on purpose for some reason. He fell on a sky of glass, and oared over a lake of mirrors, to find the fish, too, had been rejected. I dunno. Love the effort AND the result. Nice. Really cool project. May be producing the video tooks more time than editing the picture.